Well, until I can get my act together, along with some words on the page, I better keep throwing up some photos to keep this blog’s pulse going. This is Casey, available for adoption at the Humane Society of Huron Valley in Ann Arbor, Michigan. She maintains a strict daily beauty regimen that involves a generous application of black eyeliner and carefully curled ears, followed by a honey and brown sugar body scrub. All that beauty tends to steal the show from other dogs and she’s not very fond of sharing the bathroom mirror in the morning, so this adolescent lady would love to be the only dog in the home. Tell your doctor you don’t need those blood pressure meds anymore. Because rubbing these velvety bunny ears between your fingertips is all you’ll need to soothe that stressed out soul. 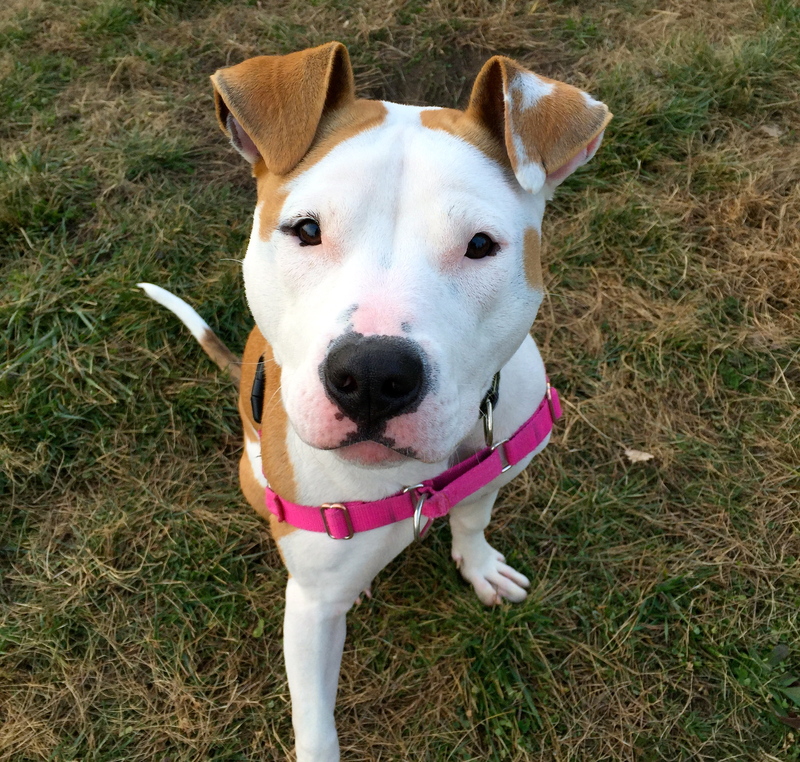 This entry was posted in Animal Welfare, Fun Stuff, Uncategorized and tagged adoptable dogs, bunny ears, cute dogs, dogs, faces, Humane Society of Huron Valley, marketing adoptable pets, pet adoption, pit bulls, puppies, shelter dogs. Bookmark the permalink. I feel better already- just by looking at that sweet face! Oh those ears are perfect!